The rabbi, who was close to Rav Tzvi Yehuda Kook, died Monday after a long battle with cancer. 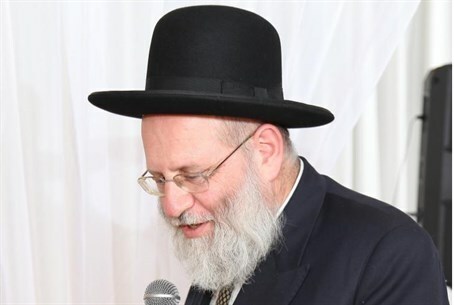 Rabbi David Avraham Spektor (Schpektor) of the Givat Sharett neighborhood in Beit Shemesh passed away Monday at Rambam Hospital in Haifa after a year-long struggle with cancer. The Amsterdam native emigrated to Israel after the Yom Kippur War of 1973 and became close with the late Rabbi Zvi Yehuda Hacohen Kook, head of Merkaz Harav Yeshiva and the Religious Zionist leader known as the "father of Jewish settlement in Judea and Samaria". In addition to being appointed rabbi of the Ohel Yonah Menachem congregation, Rabbi Spektor held a post in the city rabbinate. He was a member of the rabbinate for fifteen years and was in charge of the community's mikva, ritual baths, and eruv, perimeters in which one is allowed to carry during the Sabbath. In a letter sent yesterday to his community, Rabbi Spektor wrote: "I wanted to thank all the prayers and tears shed for me on Rosh Hashanah [Jewish New Year] they say not a single tear will return empty-handed! Thank you for recording the Cantors of Ohel Yonah Menachem for me after the Sabbath, it really moved me and brought me back to some beautiful prayers from the synagogue." The Rabbi continued: "From Haifa, the city of Elijah the prophet, I want to bless all of Israel, from all circles and all sects, that everyone help in an extraordinary way as one. Remember that on Yom Kippur, your sins will be atoned for if you care about all of Israel, every member included. We see that in times of need, everyone wants to help one another, and with that I wish you a good year and a 'gmar chatima tova.'" Rabbi Spektor is survived by his father, brother, wife, 11 children and daughters-in-law, as well as grandchildren. The funeral procession will leave tonight at 11 p.m. from the Ohel Yonah Menachem synagogue in Bet Shemesh to the city's cemetery.